We are adamant about our customers’ success so we want to make sure that you can use our Insight Platform to its full potential. To help you excel with Netigate, we have our Netigate Academy programme. With the help of the Netigate Academy, we want to take you from a Netigate novice to a Netigate expert! Our experts will teach you how to get the most out of the Netigate insight platform in order for you to become experts in how to create your questions, send out your survey, and analyze your results. Take your time to meet our experts, share experiences with other customers, and learn how to use Netigate in one of our monthly training sessions at our Stockholm office. We start our training’s at 09.00 and keep ongoing until lunch time. The training is split up into two parts, we start of the day with looking at how we can Create & Send out our surveys, after a short break with refreshments we move on to the 2nd part where we learn more about the Report & Analytics part in Netigate. Our experts will show you how to create surveys with a user-friendly design, as well as how to distribute them via different channels. Learn how to analyse your results and create reports in the platform. Also, learn how to share and export your insights to relevant stakeholders. We offer customer satisfaction and employee engagement focused workshops to help you maximize the potential in your use of Netigate. The most commonly used instrument to measure soft company values today is surveys. Research shows that there is a strong correlation between soft values and actual financial outcomes. We can discover clear areas for improvement within the methodology used and the way companies act based on the results. Limitations have been turned into possibilities through new technological innovation. We want to help you find the best way to succeed with your surveys and to gain effective insights. Level 3 – Tailored training’s optimized for your organization. We provide targeted and structured training (instructor-led courses, web-based, and on-site training) at the point of need. Our On Demand courses reinvent the way organisations collect feedback and gain insights. This On Demand course helps you to leverage your Netigate investment to support more effective survey and insight work processes in your organisation. We offer everything from 3-hour sessions to full-day workshops where we combine how to use Netigate from a technical standpoint to the methodology behind asking your questions and analyzing your results. This will give you optimal potential to make great use out of the Netigate Insight Platform. We can facilitate the training either at our offices or at our customers’ offices. Johan at ISS: – the training gave us a lot of extra value in that we could tailor the training to fit our use of Netigate. We feel that we can now get even more use out of Netigate, both in terms of creating surveys, analyzing answers and handling the data. Johnny at Habo kommun: – The trainer gave a very professional impression, both in terms of the deep knowledge of the Netigate Insight Platform but also in listening to on our specific questions and answering those from our viewpoint as a customer. Astrid has worked close to 20 years within the survey industry and has a lot of experience of surveys ranging from customer to employee loyalty, she is also a skilled facilitator of workshops together with follow up work of employee surveys. Astrid has been working at Netigate since January 2016 and has earlier worked at Kantar Sifo, H&M and GfK. Alexandra has almost 15 years experience from the survey industry and solid experience of both private and public sector. Alexandras main areas of focus at Netigate are Customer and employee surveys. Alexandra has been working at Netigate since march 2017 and has previously worked at Ipsos. 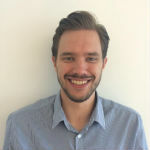 Mark has been working at Netigate in different positions since 2009 and has a very strong knowledge of the Netigate Insight Platform and how to setup your surveys, send them out and how to work with the data, the pitfalls to look out for and key areas to focus on.